Whether it's sweet or salt, here's how to curve that craving! We need to learn from and listen to this language because it tells us so much about our bodies. If you have any of these symptoms, you may consider checking in with your doctor or seeing a nutritionist. It’s possible you may need some supplements or other lifestyle changes to prevent your cravings. Pureed fruits such applesauce/apple butter/bananas/dates/figs can replace the sugar in most recipes. Sauté foods in chicken or vegetable broth instead of butter or oil. Add healthy cold-pressed organic oils to your foods after they are cooked. Chill oils for firmer consistency. *** DIY Better Butter: ½ butter and ½ olive oil. Thicken soups with pureed veggies, ground nuts, nut or seed butter, cooked grains or alternative milk. 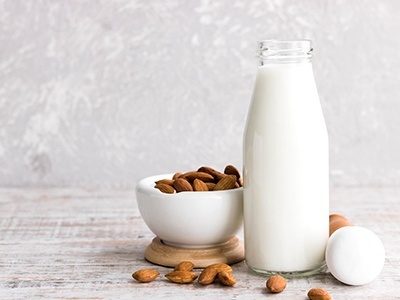 Swap whole milk for organic fat-free milk and combine with almond or coconut milk, and gradually make the shift to the all-organic milk alternatives, including hemp and grain options. Substitute 2 egg whites for 1 whole egg in most recipes. To make egg-based dishes like frittatas and casseroles look more authentic, try adding a little turmeric to the whites for a more natural appearance. Use pureed organic yogurt, silken or soft tofu, or nut butters in place of cream in dressings, pasta, sweets. Replace mayonnaise in tuna, egg, pasta and chicken salads with pureed, seasoned silken tofu, organic yogurt, or mashed avocado. Dress it up with your favorite diced vegetables and seasonings. Special Note about Sugar Substitutions: Sugar cravings are so prevalent, and now there are many great alternatives, such as organic sugar cane, organic raw agave, raw honey, monk fruit or stevia. Stevia is a liquid extracted from the herbal stevia plant, 30 times as sweet as sugar. It does not affect blood glucose levels, does lowers blood pressure, decreases cravings, and is safe for diabetics. There are many fun books to read about making substitutions, but the one recommendation I can make is that for every processed or refined food that you crave, there is a real and natural alternative. Always stock your kitchen with fresh fruit and vegetables, lean proteins and healthy fats that might preempt your temptations!